The Wizard of Oz honey, Judy Garland never failed to impress with her perpetually chicness, classic style and her tremendous talent. She was one of those stars of the 20th Century who always got it right. In so many ways, Judy Garland serves as a reminder of all that is possible in our lives, as well as in our dreams and goals. 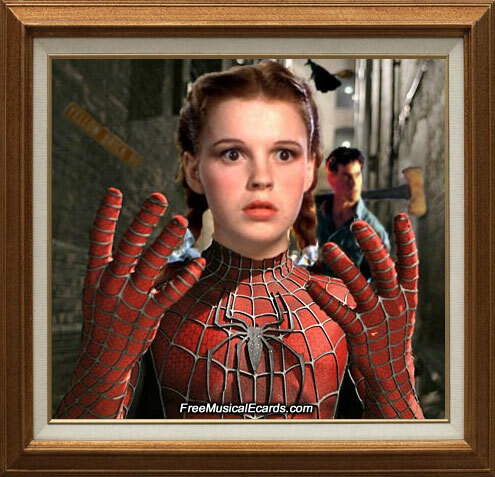 Judy Garland looks mysterious in a spidergirl costume. Do you ever see in your dreams..? do we build castles in the sky? all the castles way up high? do we build castles in the sky. all the castles way up high.